By May of 1558 it was becoming obvious that regime change was on its way. It had been well over nine months since the Queen’s husband was last with her, nine months during which she had played at being pregnant, yet still there was no child and by now it was obvious there would never be one. The false pregnancy had sapped Mary Tudor’s fragile strength and will. She was failing. The word went out to be prepared, for the news could come at any time that the Queen was dead, and with so many of their colleagues abroad in Switzerland and Germany, those who had remained at home must be ready to move at a moment’s notice to put the last living child of King Henry, the Protestant Elizabeth, on the throne before the Papists could move to prevent it. This news would have come direct from Cecil, whose contacts at Court kept him informed. Smith must have felt certain that he’d be picked for Elizabeth’s Privy Council. Cecil too may have assured his trusted colleague that they’d be working side by side. As a seasoned statesman with years of experience, Smith had remained faithful to the Protestant cause, and unlike so many Reformation ministers, he was within reach. His work on England’s claim to Scotland, on the coinage, and the Book of Common Prayer was surely sufficient to recommend him. Much as he must have enjoyed teaching de Vere at times, it was time for a more important, and not least, lucrative use of his abilities. There can be no doubt that it was in response to this that, on May 4th the sixteenth Earl added to his payroll an annuity for one Thomas Fowle for “his service in teaching Edward de Vere . . . Viscount Bulbeck” (Nelson 25). 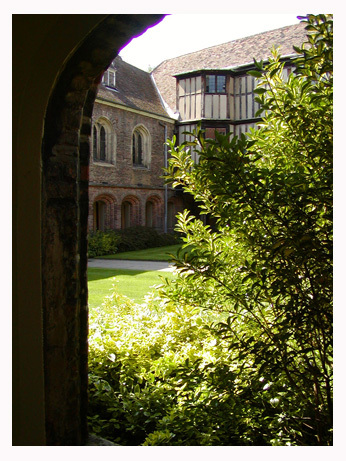 In October the boy was enrolled at Smith’s alma mater, Queens’ College, Cambridge. New locks were installed in the rooms assigned to him (23-4). Then on November 14th his name was entered in the university matriculation records (24). Mary’s death followed three days later. Whether Smith waited at Ankerwycke or Hill Hall for the summons to Court, or hurried on to his house at Cannon Row in Westminster, is unknown. He was certainly at his Cannon Row house by mid-December where he officiated at a meeting of Protestant divines to discuss the revision of the 1552 Book of Common Prayer. 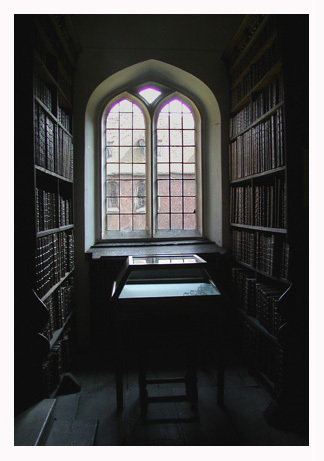 What little we know of Thomas Fowle tells us that he was made a Fellow of St. John’s College, Cambridge, in 1550, got his MA in 1553, was deprived under Mary that same year, and was restored again in 1558 under Elizabeth. During Mary’s reign he acted as minister to a protestant group that met secretly in or near London. Beyond this his history reveals him as a troublesome nonconformist (the contemporary term was “hot-gospeller”)­­––probably not the sort of tutor whom Smith, who detested partisan fervor, would have suggested himself. What seems most likely is that Smith simply left the matter of Edward’s further tutoring where he found it to begin with, in Cecil’s hands. Cecil, who no doubt was feeling it a matter of urgent necessity to recruit agents willing to work for the Protestant cause, would have recruited Fowle as much for his own purposes as for de Vere’s (as he would more than once in the future), not hesitating to reward him by means of the seemingly inexaustible funds of the sixteenth Earl. Fowle’s later anti-papist/nonconformist activities may have been through the authority of the bishops or even just something he came up with on his own, but they were well in line with Cecil and Walsingham’s efforts to force both to submit to state church policy. Whatever Fowle’s personal beliefs, his willingness to assist the Bishop of Norwich by interfering with “certain religious exercises called ‘prophesyings” (spontaneous preachings à la the Quakers) at Bury St. Edmonds” in 1573 doesn’t speak well for his personal integrity, nor would his participation in the destruction of the organ at the Norwich cathedral c.1570 have endeared him to his former pupil, the musical Earl of Oxford. That it was for tutoring de Vere that Fowle received an annuity from the Oxford estate from 1558-1571 does not necessarily mean that he acted in this capacity throughout the entire twelve-year period, only that it was in that capacity that the annuity was initiated. Annuities were given for a variety of reasons, among others: as a retainer to keep the recipient on call for whatever duty might be required or as a stipend to keep bread on the table of a poor but worthy member of a particular group. The traditional duty of a magnate like Earl John was to provide a living for as many persons as he could, irrespective of what they did for him, as this simply the way that a magnate created and maintained his political and social power base (Read Cecil 219). Fowle’s biography as shown by his alma mater, St. John’s (Venn and C.H. Cooper) shows him as Senior Fellow from January 4, 1559 to 1560, as Senior Dean from January 7, 1559 to 1560, and again from January 14, 1560 to 1561. His appointments to one rectorship after another at small towns in the vicinity of Norwich begin in March 1559, and continue until 1581. These dates suggest that he was involved at the university during the five months that de Vere was enrolled there. That the same month that de Vere’s name leaves the records, Fowle takes a rector’s post 50 miles northeast of Cambridge, suggests that his duties for de Vere were over. It’s true that such offices were often sinecures, allowing their holders to follow more interesting or rewarding endeavors, but this was no more true of these offices than it was of annuities or any other of the multitude of ways in which Elizbethans of all ranks created their networks of support and clientage. 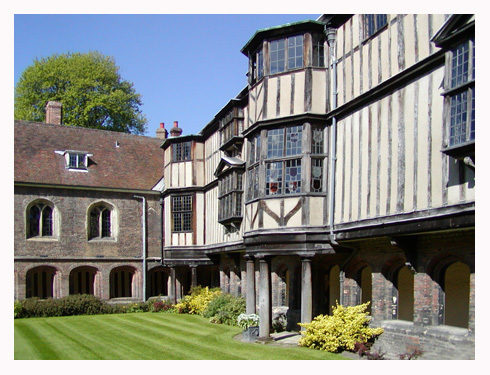 Other than the months at Cambridge during de Vere’s four or five month stay in 1558-59, the record does not show that Fowle resided with or near him at any other time or location. Until more evidence to the contrary appears, we can take Fowle as a minor influence on Edward (though one is tempted to see him as Hubert in King John). De Vere was one of a handful of youngsters enrolled at Cambridge as an impubes, an underage scholar, that winter. Although these boys were supposed to be studying with a tutor, they were not required to attend lectures or disputations with the undergraduates, where, in fact, they would probably not have been welcome. In all likelihood, they were there less to study than to keep them out of harms way, having, for any one of a number of reasons, nowhere else to go. On the face of it, these five months at Cambridge during the winter of 1558-9 could not have been a happy time in the nine-year-old’s life. Wherever it was that he was used to spending his Christmas holidays, they must have included either Smith’s family and at least one and possibly several exciting festivities, gifts, banquets, plays, and so forth including a party at Windsor and a rare opportunity to see his parents. Due to the nature of that particular moment in time, the Christmas holiday just preceding the shift in power from Mary to Elizabeth, Catholic to Protestant, it’s unlikely that there was anything of the sort that January at the university, or if there was, it must have been fairly half-hearted. For most of the fellows and older students, whatever their personal religious beliefs, it could only mean more upheaval as the guard would surely be changing once again. Alan Nelson informs us that Edward was signed up to dine at the College of St. John’s, but only for January. Why only January? The best guess is that St. John’s was designated as the college to stay open for meals that holiday season, the rest closing for the Coronation, the next term (Lenten) beginning in early February. The rest of the time, November through March, he would eat in the dining hall at Queens’ where he had rooms. Had Edward been with either Smith or his family for the Coronation in January, he would not have been signed up for meals at St. John’s. If this is the case, Edward could hardly help but feel that he’d been shuffled off by Smith and, in an unfamiliar place where he was surrounded by strangers and with no other kid his age to share the experience, he would have felt very alone (like poor little Arthur). In normal times the holidays were probably rather festive at the universities, with more than a few students staying over to catch up on their studies, or because they preferred to hang around with their pals. So the plays and pranks that accompanied the holidays, the election of a Boy Bishop or a Lord of Misrule (banned under Edward VI), the Christmas pudding, wassail bowl, and so forth, would have overcome any loneliness with pleasure or, at least, excitement. But this was a uniquely difficult moment in the history of the university, so it’s unlikely, first, that there were many students staying over (everyone who could would be in London for the Coronation) or second, that the fellows who were forced to remain on campus had much enthusiasm for festivities. The Catholics feared what having the Protestants back in power might mean to their futures, while the rest would simply be dreading the inevitable upheaval. Records from the period show what may have been the lowest enrollment the university ever experienced. To Smith’s unhappy surprise, following his work on the committee for the Book of Common Prayer in December, he found he was not getting a position on Elizabeth’s Privy Council or, in fact, any office of importance. He may have blamed Cecil for this (he certainly blamed him for something at that time), but it was probably not Master Secretary’s fault, or at least not entirely. Elizabeth was open to suggestion, but as her ministers were soon to discover, she was not easily persuaded to do anything she did not want to do. And as is obvious from later developments, the Queen did not like Smith very much, an attitude that may have originated with his interrogation of her household during the excruciating 1549 examination into the exact nature of her flirtation with Sir Thomas Seymour, the Protector’s brother. Under suspicion of encouraging Seymour in his efforts to marry her, a treasonable offence, she bitterly resented being questioned and having her loyal staff questioned by anyone, much less by somone like Smith who was inclined to be more proud than sorry about his blunt style. In any case, whatever the reason, it seems Elizabeth preferred to keep as many members of her sister’s council in place as she could until such time as they would be quietly replaced by attrition, an early sign of the managerial skills that would mark her reign as one of the most successful in English history. The legal office that Smith was probably hoping for went instead to Cecil’s brother-in-law, Sir Nicholas Bacon, father of Francis Bacon. Records of de Vere’s presence at Cambridge cease after March, suggesting that, with Smith back in Essex, he returned to the household at Hill Hall, the manor that Smith had acquired through his marriage to Philippa Wilford the summer before de Vere came to live with them at Ankerwyke. Now nine years old, Edward returned to the only family he had ever known, but this time in a different setting. High on a hill in southern Essex, in a new house, administered by a different staff, his childhood was coming to an end.